It is 102 years since the Gallipoli landings, an event that marked the start of one of the bloodiest campaigns of the Great War. "At Gallipoli we fought a noble enemy, and in time they became our friends." 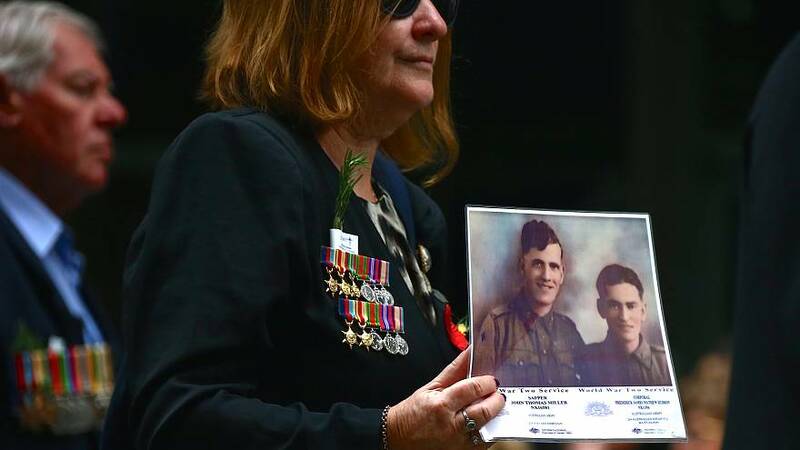 In Sydney, thousands gathered to for ANZAC day in which veterans and active service personnel parade through the streets to remember all Australians and New Zealanders who have served in all conflicts. This year, the parade was accompanied by a Scots College Pipe Band, and flag waving from the people who had turned out to line the streets. Other parades and events were held throughout the world. At ANZAC Cove on the Gallipoli peninsular in Turkey, a dawn ceremony was held to commemorate the dead from all sides of the campaign, which lasted eight months. Amy Adams, the New Zealand Justice Minister, and Julie Bishop, the Australian Foreign Minister laid wreaths to commemorate the more than 130,000 who died, including 87,000 from the Ottoman side. The Australian government had received information of a possible terrorist attack during the dawn ceremony in Turkey, which was conducted under heightened security. The event passed without incident. What were the Gallipoli landings? On 25 April, 1915, thousands of troops from Australia and New Zealand landed on the Gallipoli peninsular. The landings marked the start of an eight-month campaign, which was one of the bloodiest of the Great War. Over 130,000 died, including 87,000 from the Ottoman side. The landings are important to Australia and New Zealand because they marked the first time that soldiers from those countries fought under their own flags, instead of those of the British Empire. The day is commemorated in New Zealand and Australia each yearANZAC day. The Turkish people mark what they call the Canakkale War on 18 March, the day when the main Allied naval assault on the Dardanelles Straits began.